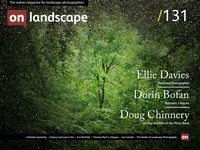 It’s been a busy few months and I had been struggling to find time for my favourite photography magazine, but over the last week or two I have been catching up with recent On Landscape articles. What a source of inspiration, and perspective! The quality of the writing and the images (especially Guy Tal’s) is excellent. And most recently, Mike Chisholm’s article has given me considerable pause for thought. If you haven’t yet read it (and I suggest you do) it is a provocative critique of contemporary landscape photography and states that this is a ‘movement’ which has run its course. At least at the moment of reading, I even found myself agreeing with some of it; a sign of a persuasive argument. ‘But... sheer populousness is often a sign that something has peaked, and that it's exciting, pioneering days are over’.